Without proper planning, when an elder loses his/her ability to handle critical decision making power due to disability or incapacity, they are often at the mercy of the courts rather than a hand-picked trusted individual empowered to act on their behalf. 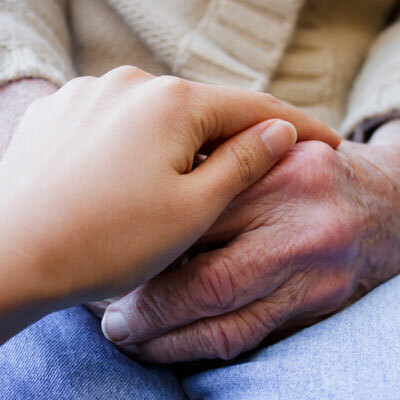 The primary objective when planning for incapacity is the avoidance of the court controlled guardianship system and its extensive costs in time and money. By effectuating various alternatives, an elder can appoint a trusted loved one, relative or close friend to follow a specific set of instructions that meets their stated, healthcare and financial goals and objectives; giving them peace of mind as they undergo their uncertain future. A power of attorney is a legal instrument in which the “principal” authorizes an “attorney-in-fact” (or “agent”) to affect legal relationships between the principal and third parties. Within the context of the typical estate plan, the powers bestowed on the agent or attorney-in-fact often include the power to handle the following common transactions: real estate; tangible personal property; business operations; banking; stocks and bonds and commodities, insurance, gifts, taxes and family financial maintenance. Just as the durable power of attorney allows someone to make important financial decisions on behalf of another, the healthcare power of attorney likewise allows a principal to bestow medical decision making powers on an agent. At the outset it is important to distinguish between “living wills” and “healthcare powers of attorney” Living Wills do not give “agency” authority to another person to make decisions. Rather, living wills are a mere declaration of the client’s desired health care goals during a terminal stage of their care. The Health Insurance Portability and Accountability Act of 1996 (or HIPAA) was enacted to allow for the easy portability of health insurance. Under HIPAA, the Department of Health and Human Services enacted privacy rules that are meant to protect the individual’s sensitive medical information from inappropriate disclosure and impose strict penalties on “covered entities” (health care professionals) to include civil and criminal penalties. Consequently, many healthcare professionals tend to interpret HIPAA conservatively making it harder for family members and love ones to access your medical information. Perhaps you have a medically trained professional in your family, like a physician or nurse, or prefer that your loved ones collectively discuss treatments plans and potential consequences. By signing this often overlooked authorization permitting others to obtain access to your medical information, your medical proxy and your loved ones can make swift and informed decisions by having ready access to detailed medical information.